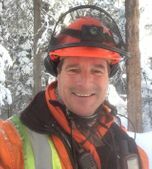 Kevin Birch has over 20 years of experience in forestry and has operated his own business for over a decade. He is familiar with the problems faced by recreational property owners arranging tree work from a distance. The highly specialized skills and safety requirements for falling trees are not viewed lightly in BC. All BC manual tree fallers must be trained and certified. Kevin holds a WorkSafe BC Faller Certificate. 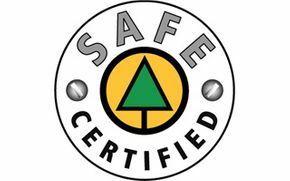 Visit the BC Forest Safety Faller Certification website to learn more about this certification. B&B Treetopping also carries updated and revised insurance and Workers' Compensation coverage. In addition to the tree faller's standard chainsaws, wedges and axes, our equipment inventory includes chippers, chip removal dump trucks, snowmobiles, and 4-wheel drive quads that can move the chippers into narrow and confined areas. In all cases, the safety of everyone involved is our primary concern and we employ a range of equipment designed with that safety in mind. Kevin and his professional crew of skilled workers will take their time to listen to and understand your requirements or concerns. No question is too big or too small. Our lines of communication are always open. Contact us to learn more.